“We are extremely excited to name Downtown Boxing Gym a community partner, and will fund the creation of a comprehensive yoga and mindfulness program, including a studio space,” says Lululemon Global Collective Impact Manager, Allison Murphy. The 3,000-square-foot Downtown Detroit Local, located at 1459 Woodward Ave., is part of Lululemon’s “Here to Be” global social impact program, which connects designated Lululemon locations with nonprofits. As part of the program, the space will offer donation-based classes that benefit the Downtown Boxing Gym Youth Program, community events, and opportunities for customers to get involved in the Detroit community. 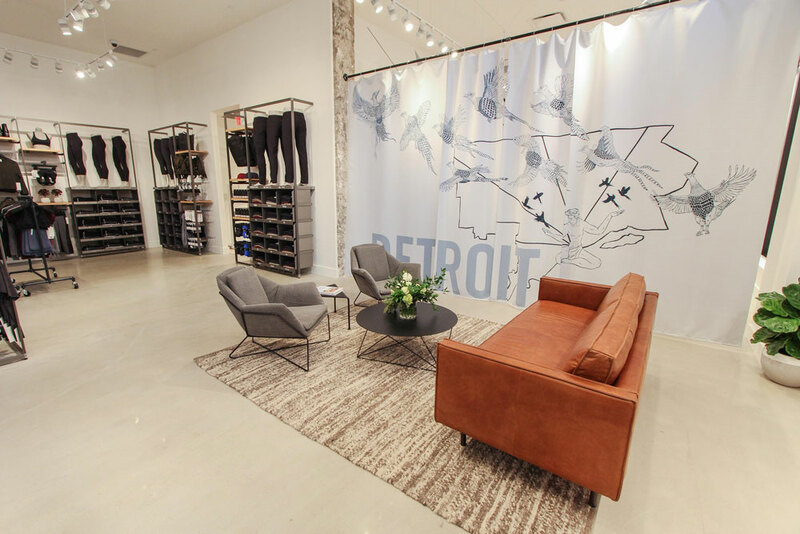 The Lululemon Downtown Detroit Local is one of five Lululemon locals across North America that will make this commitment. 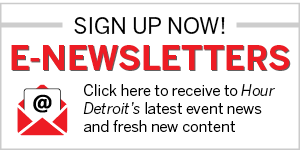 Along with its charitable partnerships, the Detroit Local Club has joined forces with Detroit-based creative agency Playground Detroit. The interior of the concept space is decorated with work by the agency’s artists, such as multi-disciplinary artist Ellen Rutt, illustrator Haley Stone, and muralist Arlin Graff. Photographs by Hayden Steinbaugh are also on display. The images capture the location’s ambassadors: Terra Castro, owner of Detroit Body Garage; Adria Moses, curator at The Art of Yoga Detroit; blogger Kate Lazarski; entrepreneur Chris Burcham; yoga instructor Dan Gottleib; Amber Powers, director of lifestyle and programming at Detroit Foundation Hotel; and Armond Rashad, owner of Jabs Gym and one of Hour Detroit’s 2017 Best Dressed winners. Lululemon’s Downtown Detroit Local space is open from 11 a.m. to 7 p.m., Monday through Saturday, and noon to 5 p.m. on Sunday. A free morning yoga and mindful class will be held at the space on Sept. 24. For more information, visit shop.lululemon.com.